Adjustable from 28.3 to 46.5"
This Portable Compact Lectern Podium by Pyle is designed for quick assembly and is height-adjustable so you can use it in any lecture rooms, conference rooms, and public speaking applications. 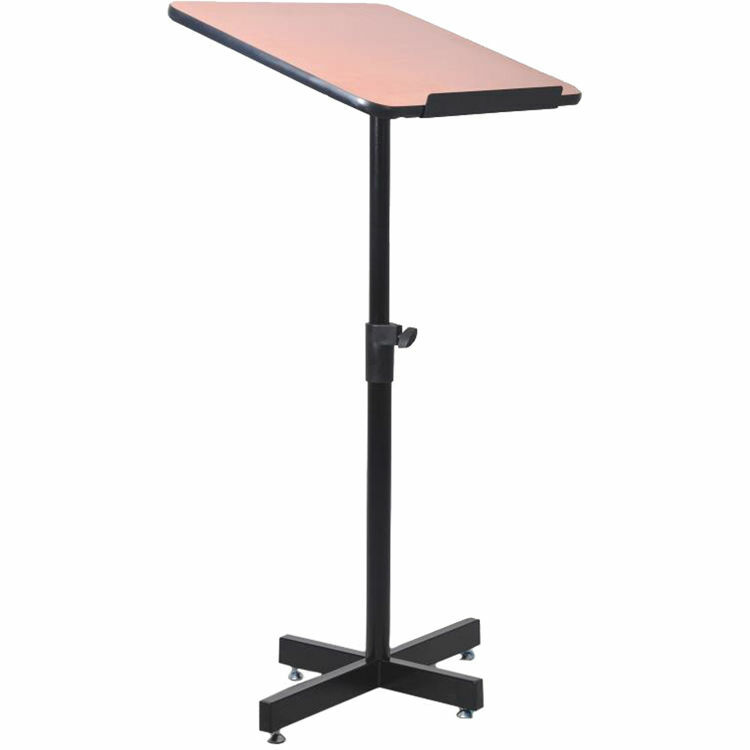 This portable podium has a slanted top platform for devices or reading notes, which provides you with a quick setup for every use. Box Dimensions (LxWxH) 25.5 x 19.0 x 9.5"